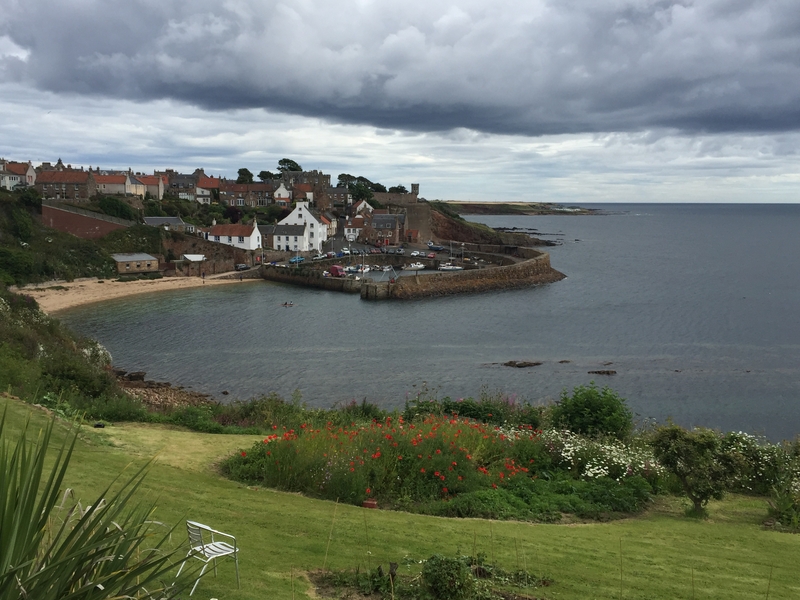 Take a walk along the shore from Hawes Pier in South Queensferry (you start with the view of the bridges) through Dalmeny Estate for country views, views of Fife, views of Edinburgh, an unexpected castle and of course Dalmeny House itself. 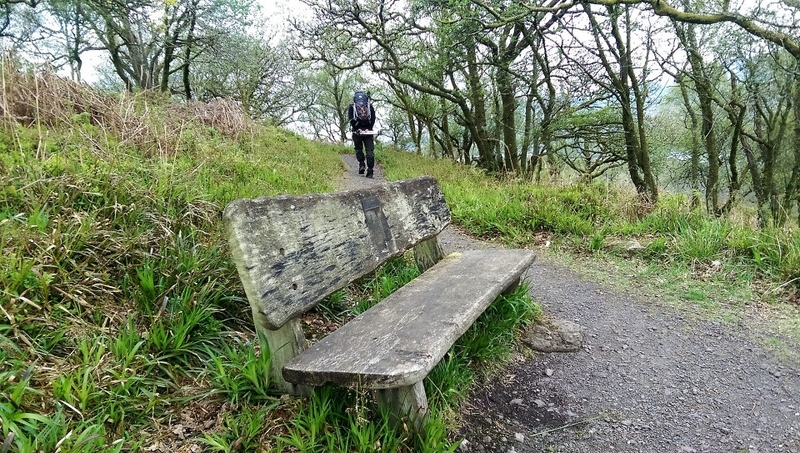 At Crinan you can climb the hill behind the hotel, following a forestry path, to get some amazing views of the Crinan canal, Jura and even Mull. It's a short (though fairly steep!) climb but the views are fantastic (and there are benches at the top!). 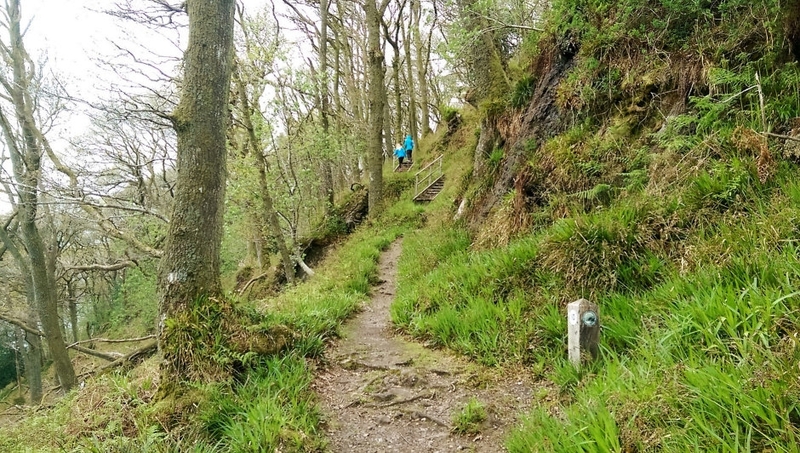 Once you're up, you can follow a broad path along the crest of the hills at an easy stroll before scrambling back down for a coffee/pint at Crinan. I walked for about 45 minutes from the Loch Ness Centre and Exhibition in Drumnadrochit and got this amazing view of Drumnadrochit, Lewiston and Loch Ness itself! Luckily there was blue skies and sun but I didn't get to see Nessie this time around! That's the same spot that I posted about earlier up in the thread It's easily one of my favourite places around the village. It's one of those places where you pause and go, 'wow, I actually live here!'. 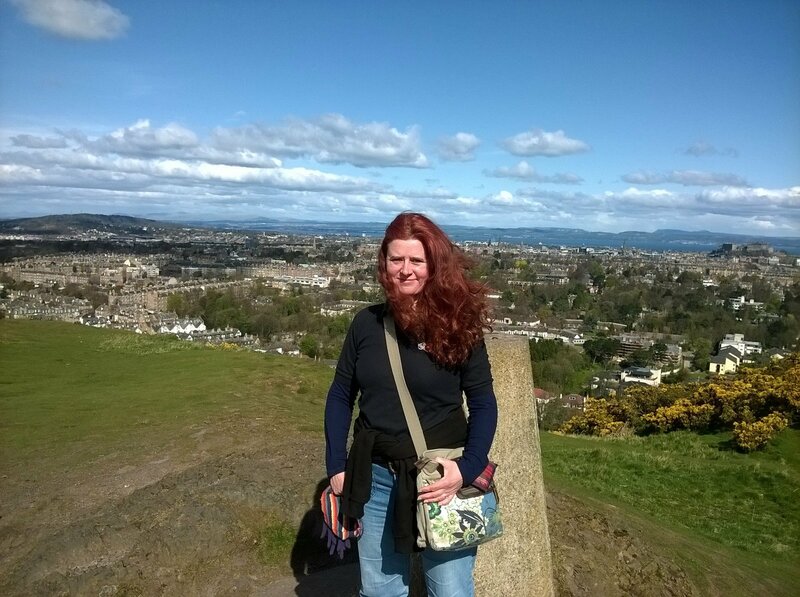 "I hiked to the top of Bennachie yesterday and it was a short hike with a great view, wind, and wonders all around, and really nice people hiking in both directions. We stopped and chatted a lot!" I do agree that Bennachie is a great walk with amazing views! It's been a while since I've walked to the Mither Tap...I must do it again soon!! Dunadd (just south of Kilmartin in Argyll) is one of our favourite short walks with a big view. It is an ancient fort site plus where the ancient kings of Scotland were crowned. discover fascinating rock carvings including human footprints - does your shoe fit?! My favourite historical site - it has such a magical feeling Apparently back then they were approx a UK size 4 shoe if my wee foot is anything to go by. One of the most rewarding and yet straightforward walks has to be the Quiraing on Skye. I've taken Grandparents and grandkids alike. Awesome views, seriously awesome! For a really big view, a stroll up Corstorphine Hill in Edinburgh on a summer Sunday, then climb the Tower. On a clear day, you can see the tip of Ben Lomond, the Trossachs, Stirling Castle and the Wallace Monument to the west, the three Forth Bridges, the islands in the Firth, the Fife coast, Edinburgh spread beneath you, and the Bass Rock and the Law to the east. 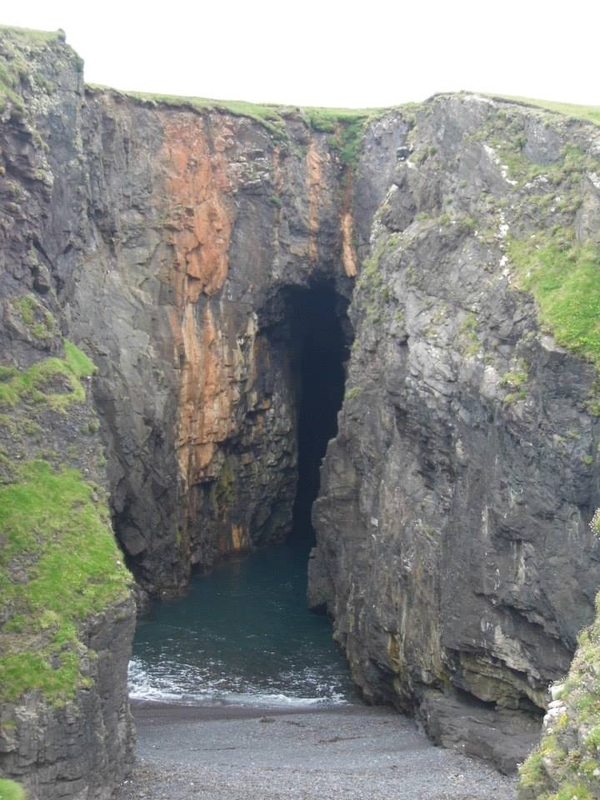 It's truly spectacular and easily accessible by bus. 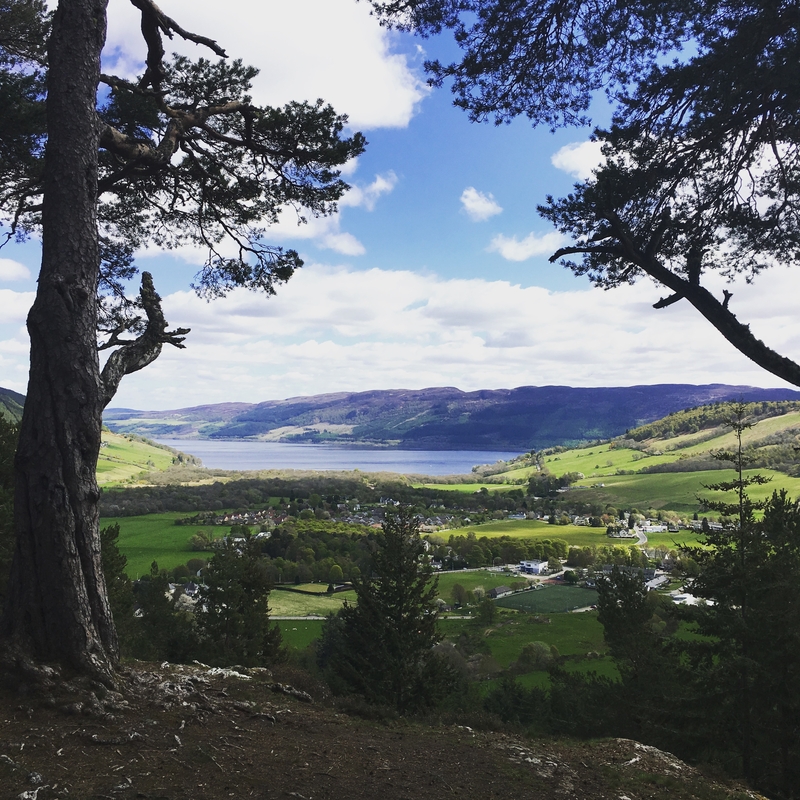 A short walk to Bruce's Stone will allow you to have panoramic views over Loch Trool within Galloway Forest Park in Dumfries & Galloway the BBC Countryfile Magazine Destination of the year 2015/16. The Three Lochs Way is pretty good. 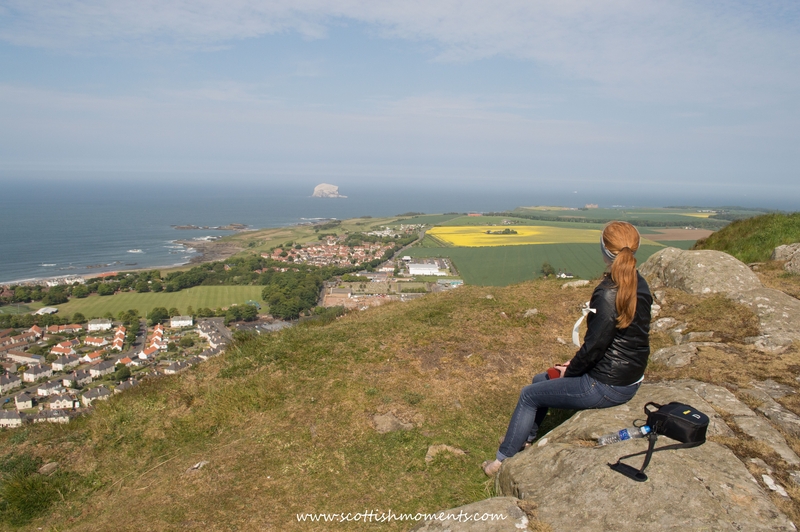 Absolutely loved my recent walk up North Berwick Law! What a day! And what a view!! 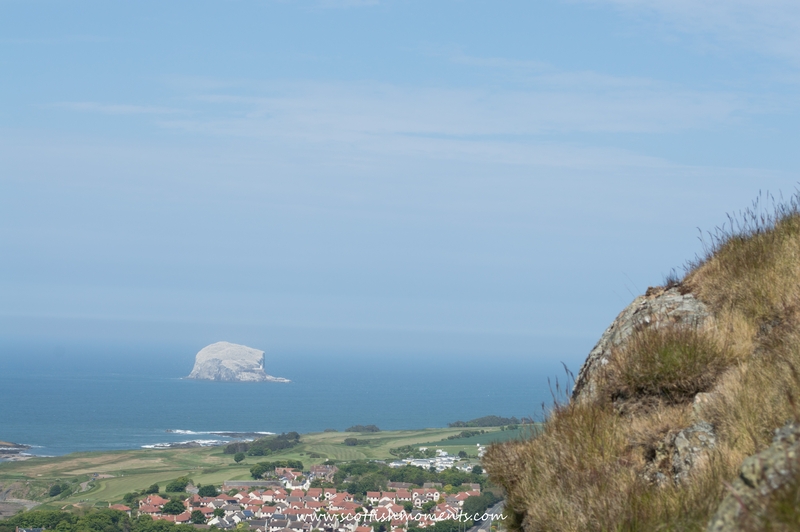 You can see Bass Rock and Tantallon Castle too. 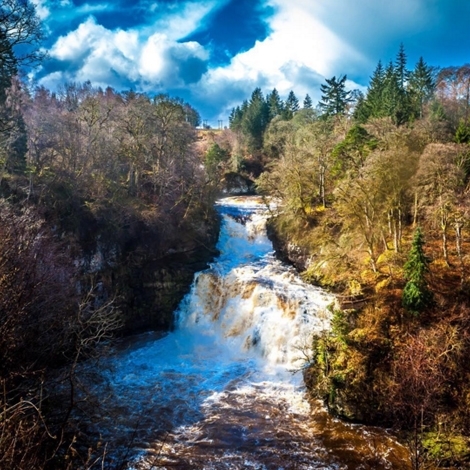 Birnam in Perthshire is the perfect base for a lot of short walks with fabulous views. 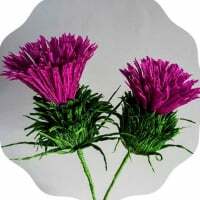 I would recommend spending a night in the Birnam Hotel or Jessie Macs Hostel (probably the best hostel in the country! ), grabbing some lunch at Birnam Arts, and then exploring the multiple walking routes going in all directions. 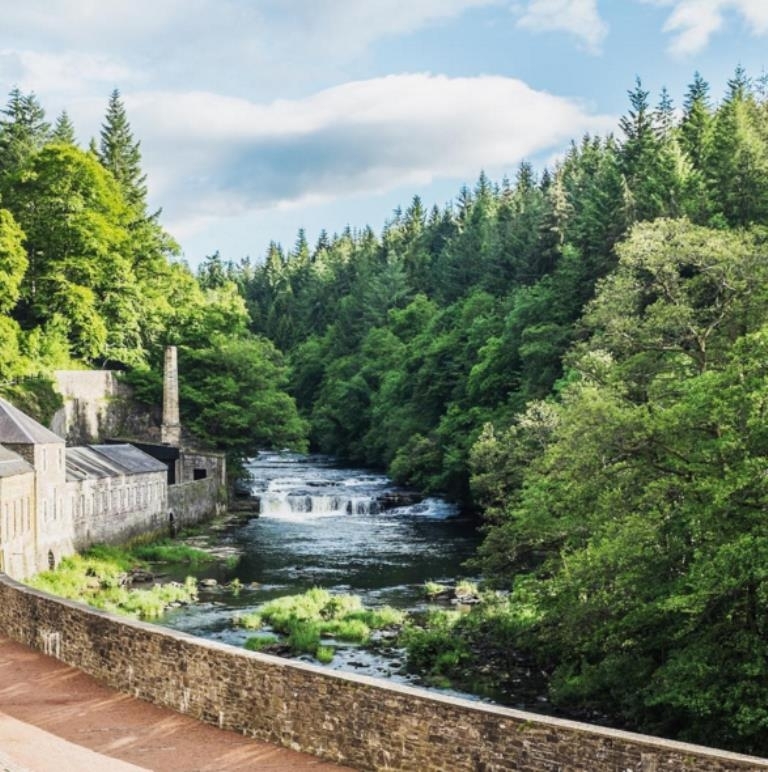 Birnam is also very close the famous Hermitage, with outstanding scenery! I'd agree on the Blackford Hill view - amazing vista of Edinburgh and surroundings. We walked up from Blackford Pond - lovely walk and considering I've lived in Edinburgh for years, this was a first! Another short(ish!) 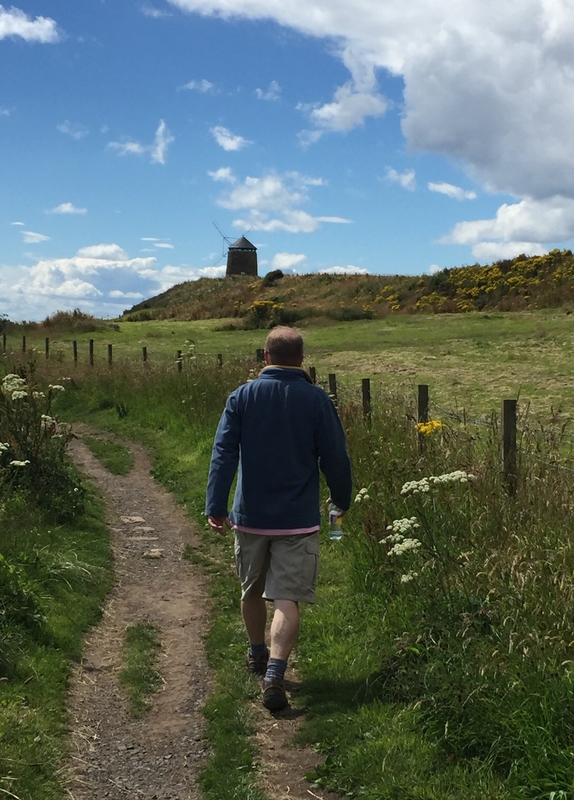 walk is from Boghall Farm to Hillend Ski Centre on the outskirts of Edinburgh - another fabulous view from there, right across to the Firth of Forth and Fife on a clear day. Some amazing suggestions guys!!! Keep them coming!! If anyone is ever visiting Balmaha, east side of Loch Lomond, there are a few short walks I've explored with beautiful views across the loch. 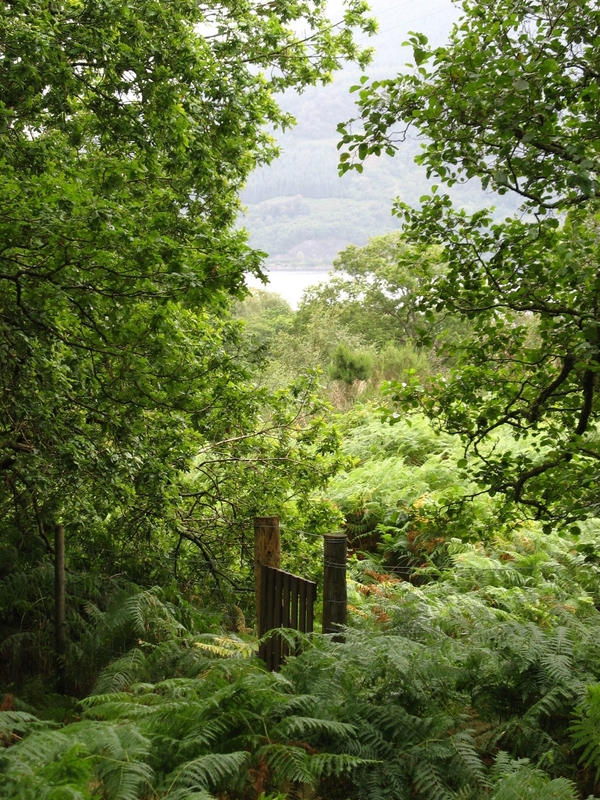 Balmaha Millennium Forest Path - this is a circular walk of around one mile. 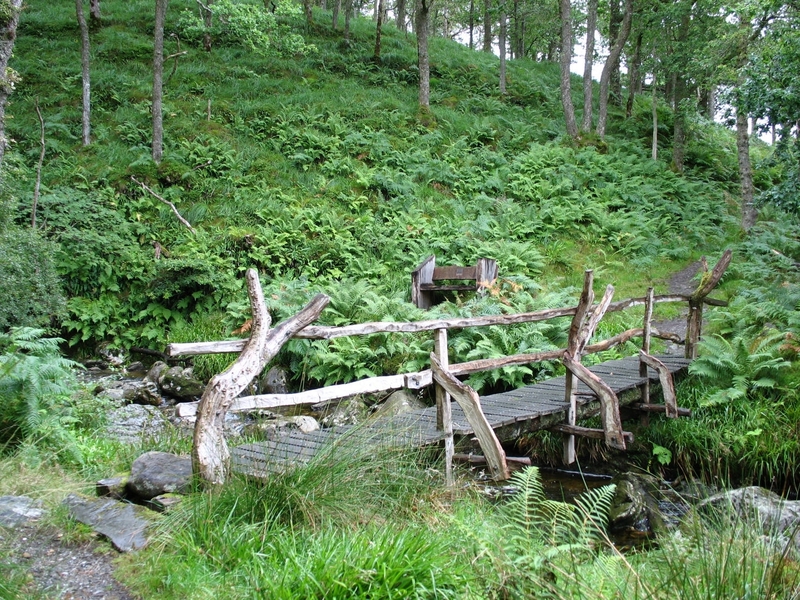 It starts at the Visitor Centre, through the woods, a short hike uphill to Craigie Fort, more woodlands and then towards the lochside. 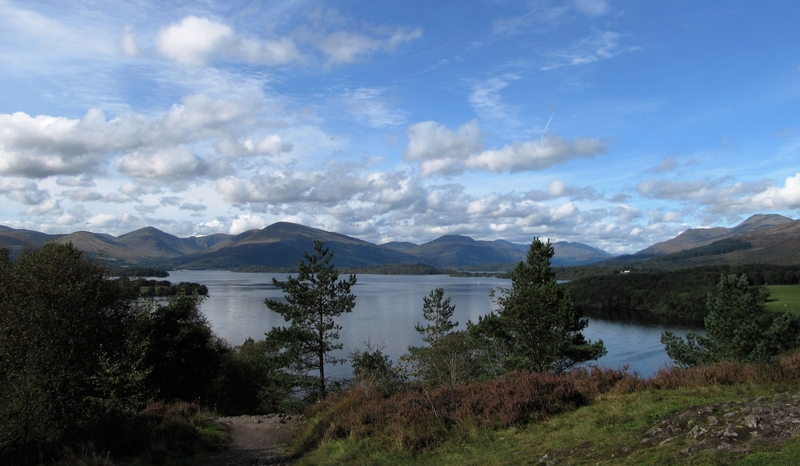 If you can't manage the hill you can skip this part and walk down to the views on the lochside. 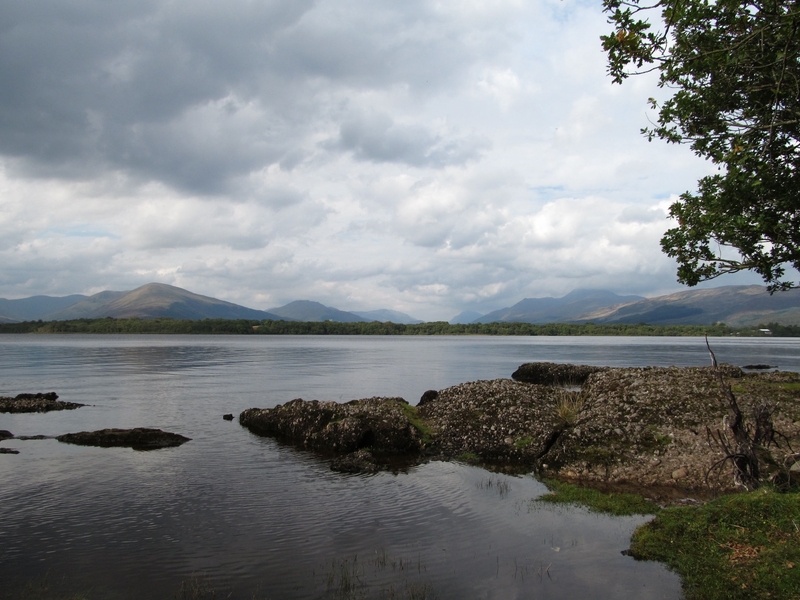 I have more photos on my blog or check out the Loch Lomond and the Trossachs website. Inchcailloch Island (National Nature Reserve) - I love this wee island. 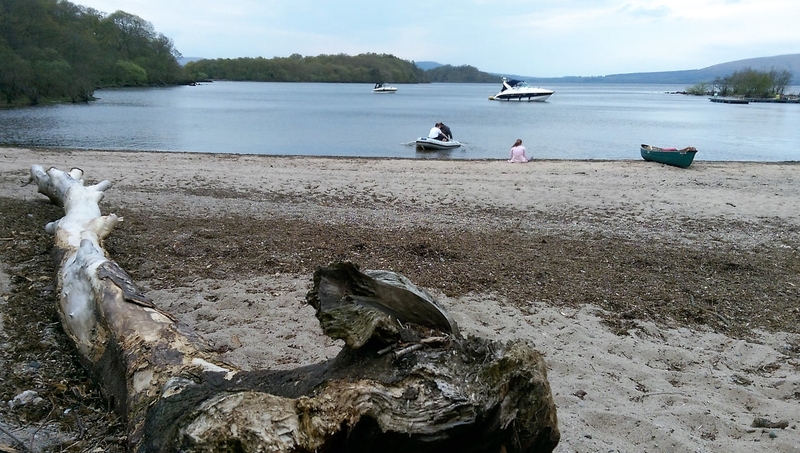 Take the boat at the Balmaha Boatyard (behind the Oak Tree Inn). In less than five minutes you're dropped off on the island to explore at your own leisure. You can arrange a suitable time with the skipper to come back for you at the north jetty. It's £5 return per adult, £2.50 children (under 16). 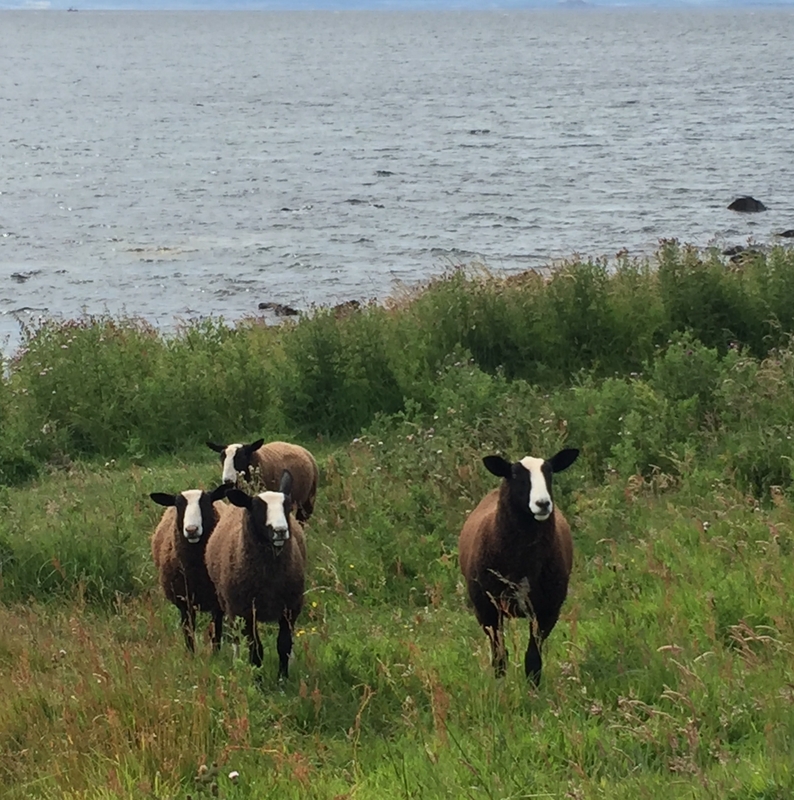 If you don't feel fit enough for the summit path, don't worry, there are lovely views at Port Bawn too. 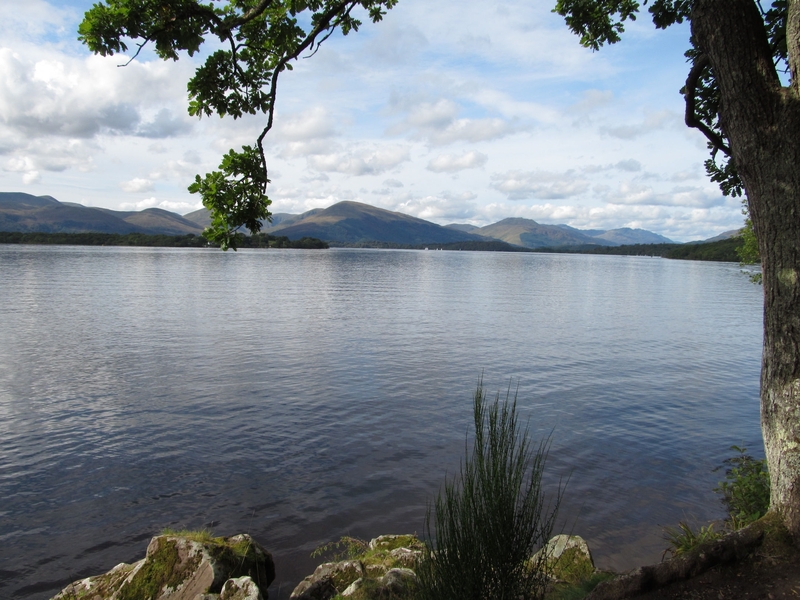 I have more photos and information on my blog or visit the Loch Lomond and the Trossachs website. You can also camp on the island! Maximum of 12 people per night. 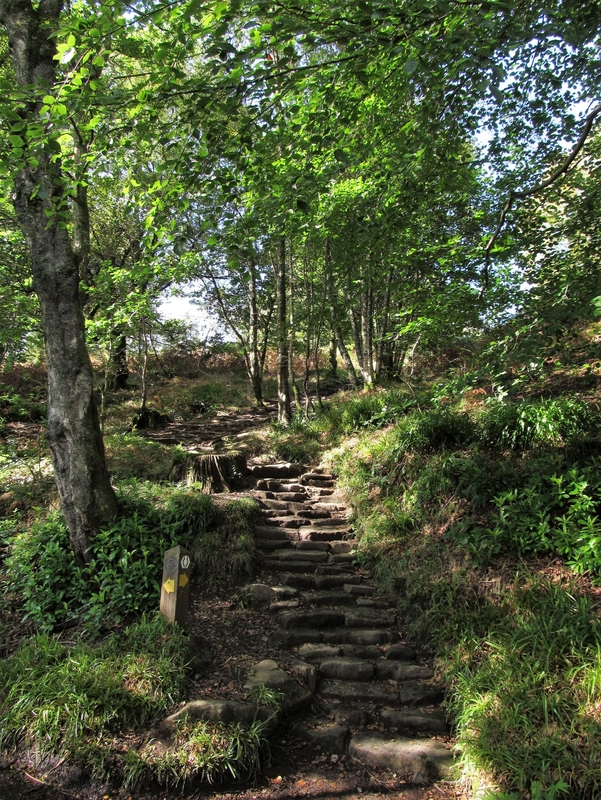 Ardress Hidden History Trail - another short circular route of around one mile - this is a beautiful woodland walk with hidden history to look out for. It's a great wee interactive walk for the kids too. Happy exploring everyone! There's a whole Scotland out there! What about a nice wander from Glenmore upto Ryvoan Bothy, with a wee stop at An Lochan Uaine (Green Lochans) on the way. Great spots for bird watching in the pine trees, before open moorland! We went to Moffatt in May, I had badly sprained my ankle and ended up on crutches the month before so we couldn't do as much walking as we had originally planned. We went to Devils Beef Tub and I thought the views were outstanding. 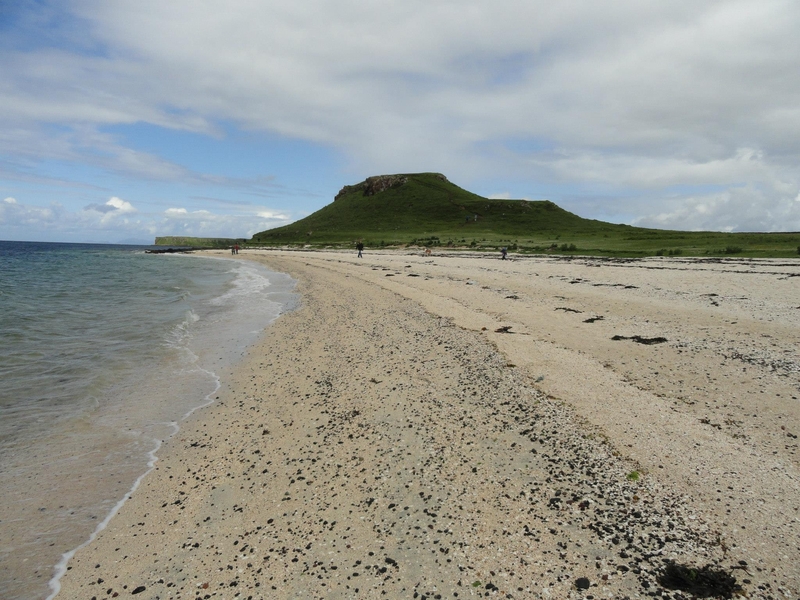 On the Isle of Skye last year, we visited the coral beaches and absolutely loved it, the colour of the sand, the colour of the sea, just gorgeous. 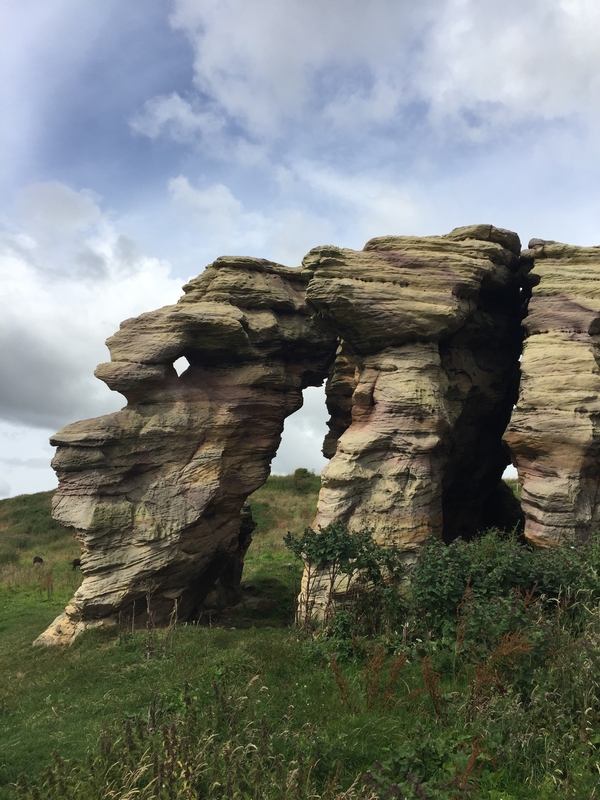 Stonehaven to Dunnottar Castle and back is a braw walk, from the caravan site, past the Harbour, up to the War Memorial, then along the coastal path to the amazing Castle. We walked back along the road from the castle car park to return to the town, but it would have been nicer to retrace our steps back along the coastal path. 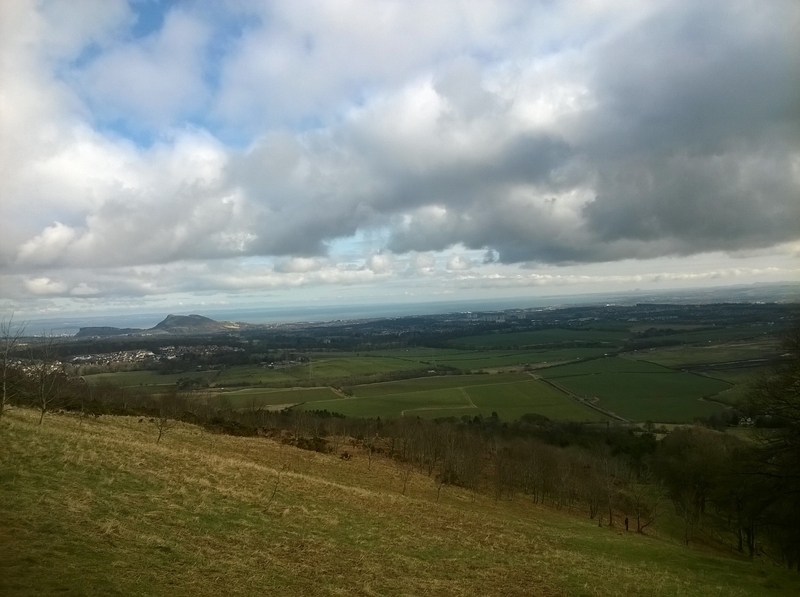 Blackford Hills in Edinburgh up to the observatory is one of my favourite walks, only 30 mins or so to be rewarded with stunning views of Edinburgh city. You don't have to go far outside Edinburgh to enjoy the huge views you can get from the Pentland Hills. Lots of trails and ways to access them. 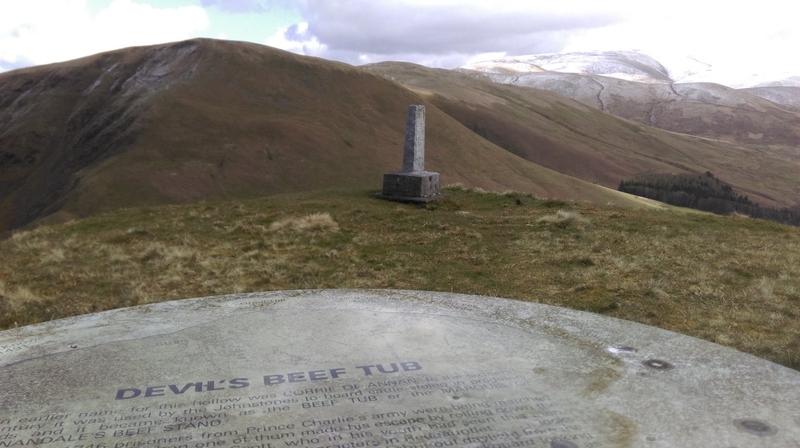 Check the pentlandhills.org website for information on the regional park or the TweedTrails website for walkers and horse-riding tips. Great place to spot adders too! Saw one last year sunning itself on the path up to the Green Lochan before it slithered off, amazing! I agree, a beautiful walk! 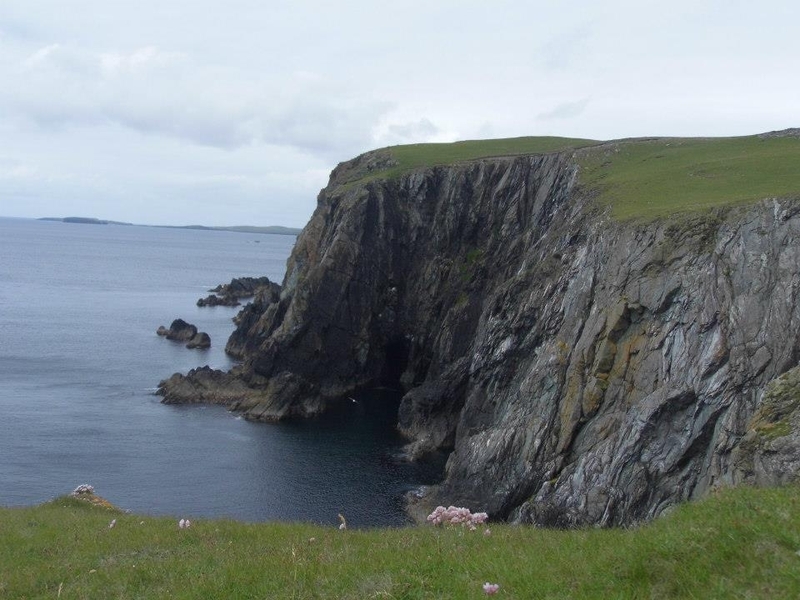 The Eshaness 6km circular cliff top walk in Shetland is simply breath-taking; one of the best walks I've ever done! 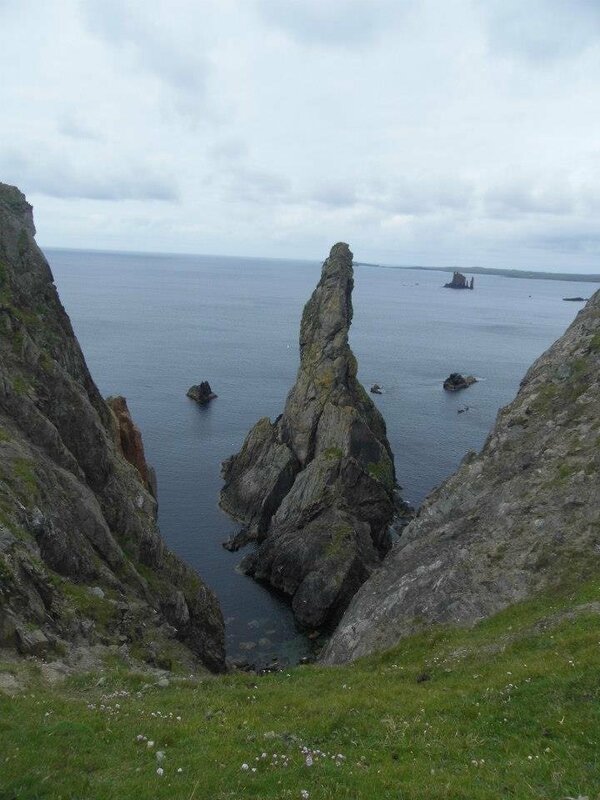 Eshaness is part of the Geopark Shetland Volcano trail, so if you especially love geology, combined with beautiful scenery, this is right up your street! 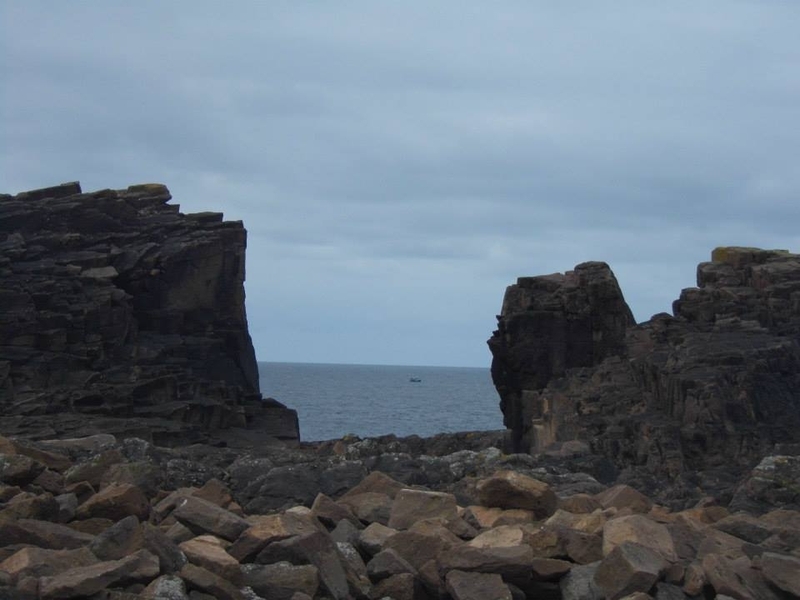 You will encounter some fascinating rock features including Calders Geo and the Grind o da Navir. 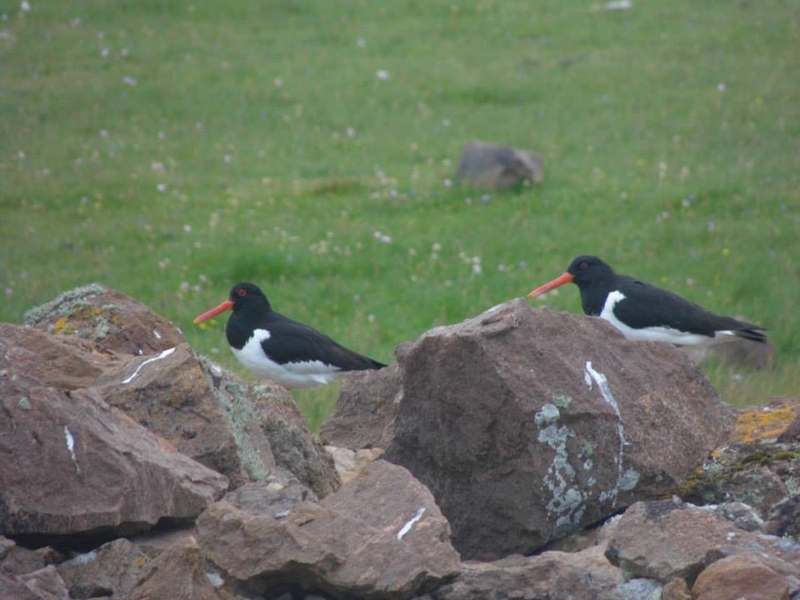 Also, look out for the abundant sea-birds including Fulmars and Oystercatchers. Explore and enjoy! 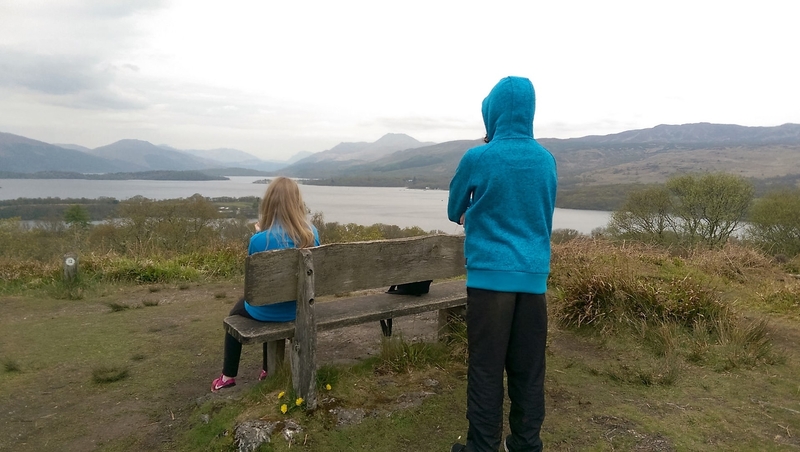 Can't beat a walk up Ben A'an in the Trossachs, it takes around an hour to the top (454m high) its rocky summit offer amazing views towards the mountain of Ben More & Stobinnian, the peaks of the trossachs and along Loch katrine. In fact the views are better than many hills 3 times the height! 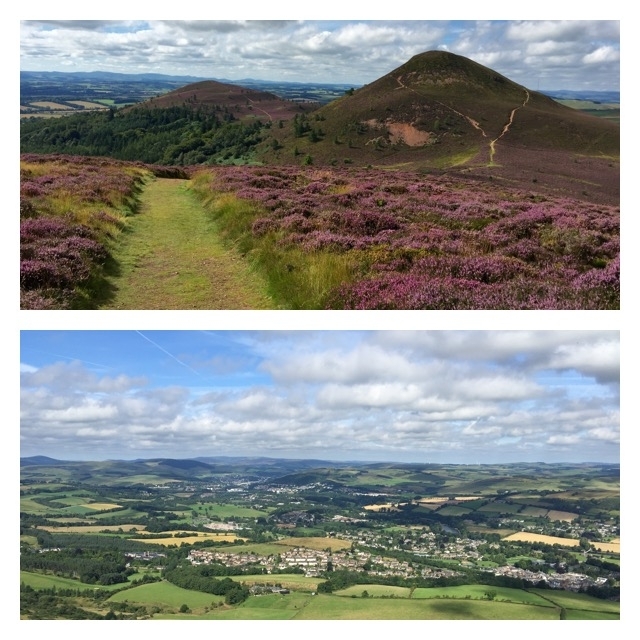 @Gilly @SuzieD @VisitScotlandSarahW the Eildon Hills walk in the Scottish Borders is a real stunner especially at this time of year when the heather is in bloom. There are three peaks but there's really no need to climb the Mid Hill and West Hill peaks unless you really feel the need to. I suggest climbing just the North Hill peak which is relatively easy to do and you are rewarded with fantastic views in all directions. These photo were taken from North Hill peak yesterday.